To celebrate the start of a new year, ADYA at the Anaheim Packing District is shifting its focus to lighter fresh, flavorful Indian street fare offerings. Executive Chef Shachi Mehra’s menu showcases dishes using her expertise to combine modern, creative and classic Indian styles of cooking and features fresh, sustainable ingredients, prepared simply with bold flavors and spices. You can enjoy dishes like Bhel Puri, a flavorful combination of puffed rice, cucumbers, tomatoes, and dried mango; as well as a Masala Papad which boasts local, farm-fresh vegetables and cilantro atop a crisp papadum. ADYA’s menu also features protein-packed Indian favorites like Chicken Tikka, Tandoori Shrimp, and Lamb Seekh Kababs. “We’ve established relationships with local farmers, growers and purveyors to form a symbiotic relationship and develop a menu sourced from the best local, organic, and biodynamic ingredients possible,” said Chef Shachi. To further promote ADYA’s healthy dining options, Chef Shachi will be hosting a cooking class on Saturday, Jan. 31 at 11 a.m. The hands-on, interactive culinary demo will be held outside on ADYA’s private boxcar patio. Guests will learn to recreate healthy, seasonal favorites such as Green Bean Sesame Salad, Quinoa Salad, and a Roasted Cauliflower Masala. Class availability is limited. For reservations, call 714.533.2392. ADYA is at the Anaheim Packing District (upper level, across from the main entrance) at 440 S. Anaheim Blvd #201. For more information, visit adyaoc.com. ClassPass and Core Power Yoga are celebrating with an exclusive launch party on Wednesday, Jan. 28 from 6:15 to 7:15 p.m. at the Core Power Yoga at Irvine-Jamboree studio. Simply arrive 15 to 30 minutes prior to the class start time. Mats, towels and water will be provided so you can arrive dressed to experience an all-levels heated (97/98deg) power yoga class. Full locker rooms will be available as well. Free parking is available in the underground structure beneath the studio. Take the stairs or elevator directly up to the ground floor studio lobby. 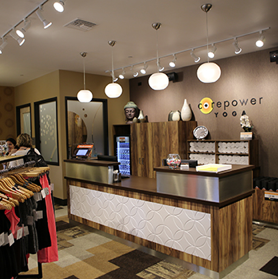 Core Power Yoga is at Irvine-Jamboree studio, 2646 Dupont Drive in Irvine. 949.851.9642. To RSVP, visit here.